So, your college life is about to get started, and you must be both excited and frightened at the same time when you start musing about all changes you’ll have to experience. New friends, new classmates, a new place to live, new rules, and new teachers. Students’ relationships with professors are entirely different than between teens and teachers at schools. You will no longer be treated as a child and will be the only person who is to blame if you’re falling behind. It’s crucial for every individual in college to build productive relationships with their professors so to avoid any possible troubles with assignments understanding and submitting. Every person is different, thus, sometimes relationship building can be a very intimidating and hard process. But don’t be afraid, here are some useful tips for you on how to learn to form a proper understanding between you and your professors. The safest way to address your instructor, if you see him or her for the first time, is “Professor” followed by his or her last name. Ms., Mr. or Mrs. is not the best option to address professors at colleges. If you have communicated with this person by emails, the signature on the response may give you a tip on the way this teacher wants to be addressed. Also, be attentive on the first day of class as usually some of the teachers give some remarks regarding this matter. If you have such an opportunity, you may contact his or her TA beforehand and clarify the preferred way your teacher wants to be called. That will surely help your professor to remember you better, however, you should be aware of some advice regarding this matter. First of all, better don’t introduce yourself before the lecture as your teacher’s head will most likely be busy with classes preparations and other necessary things. Or even if someone only tells his or her name after the class is over there is a small chance your professor will remember you among all the other students he or she’d meet that day. But if you come up after the lecture with few questions or comments and initiate a dialog, you will surely make yourself noticeable and remembered. Besides, it will show that you’re interested in the chosen class, and professors surely like and appreciate it. 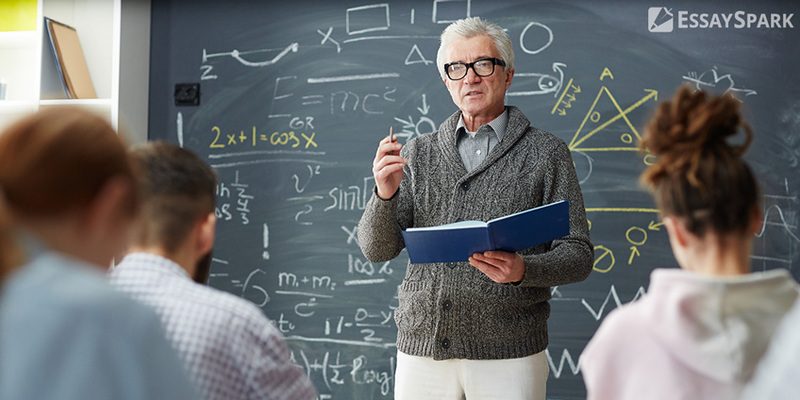 Professors often like to build an eye-contact with their students while giving the lecture, this way they can see whether children follow their thoughts or not and whether they understand the material of the study. Students who sit in a first raw or at a first desk are surely the most visible. So if you make sure you’re focused on the information your teacher is giving, you will undoubtedly be seen. Plus, eye-contact is a fantastic indicator that you pay attention to. Rated 4.4 | 77 votes.